This hip flask has our Godfather design on the front. A traditionally designed 6oz hipflask made from a polished finish stainless steel and supplied with a refill funnel. 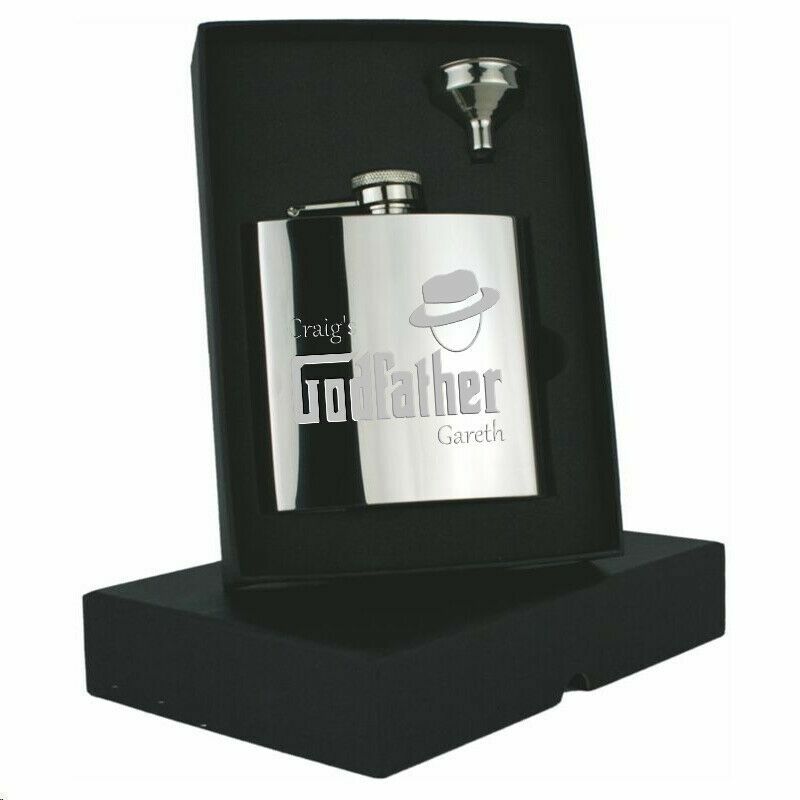 This hip flask has our Godfather design on the front, you then have the option to personalise it with Godfather and Godchild's name so it would read like our example Craig's Godfather Gareth. Dimensions approx: (W) 9cm x (H) 11cm x (D) 2.5cm approx. This hipflask is packaged in a black gift box with protective foam insert. A perfect gift for any godfather.